Enter your email address below to receive a notification when Surprisly starts accepting new sign-ups! Enter your email address below to receive a notification when Surprisly is accepting new sign-ups again. We ship on the 15th of every month. Please order by the 14th of the month to get the current box. 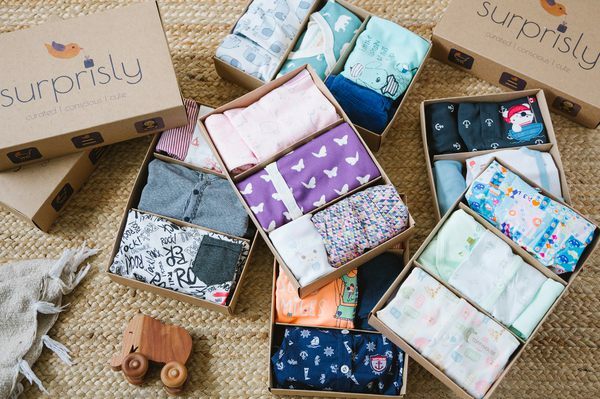 Surprisly is a baby outfit subscription box perfect for new parents or as a gift for your loved ones. 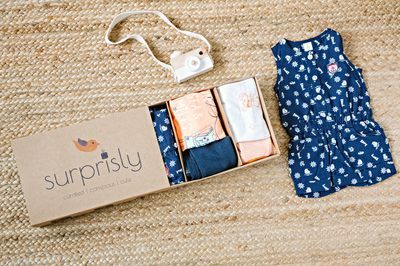 Each box contains 3 hand selected outfits from boutique brands for baby’s day out, playtime and snooze. Every clothing item is beautifully constructed, made exclusively from cotton or organic cotton and incredibly cute. FREE SHIPPING across the entire U.S.A! I love these boxes! I have used Surprisly for baby gifts and they have been an absolute hit! The clothing items and even the packaging make for a perfect baby gift. The outfits they send are cute, stylish and one of a kind. In my first box I got 7 items! I love everything! They sent me the cutest hedgehog onsie with a hood and these rockin geometric pink pants. This is my favorite subscription yet! I couldn't wait for my box to arrive and boy did it not let me down! I recommend this to everyone with little ones! 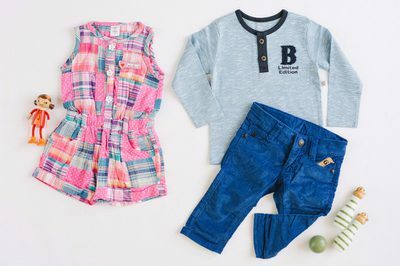 Its so easy to let them do all the work in finding cute outfits for my little girl!